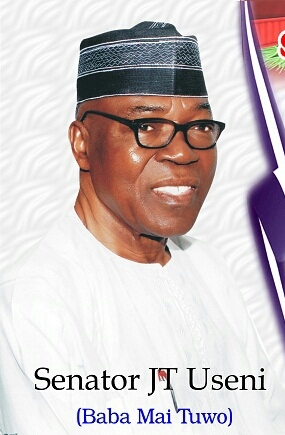 A Central Plateau political group called PDP Central Patriotic Front says for the effective execution of the Jeremiah Useni Restoration governorship campaign project, a highly qualified running mate as the party's central zone Chairman, Hon. Benedict Shignuhul should be considered. Not only is Hon. Shignuhul a pragmatic, passionate, creative, humble and honest leader, the group believes no one possess qualities that best represent the generality of yearnings of the Plateau people. A statement by its spokesman, Mr. Dan Sharing equally highlights matchless loyalty and dedication to the party as part of the outstanding qualities that qualify him for the position. "We urge the Party look inward to a man who has constantly lived the values that make our party great and represents the best of who we are. "Nigeria and indeed Plateau are confronted with difficult times. In the face of these great challenges, we cannot afford to experiment with amateurs and mediocre leadership as we have today," the statement says. The group in the statement insisted that the state desires a "vibrant" Deputy Governor who would inspire youths and energize the party.